So many factors go into making a successful piece that is both pleasing to wear and possible to produce. 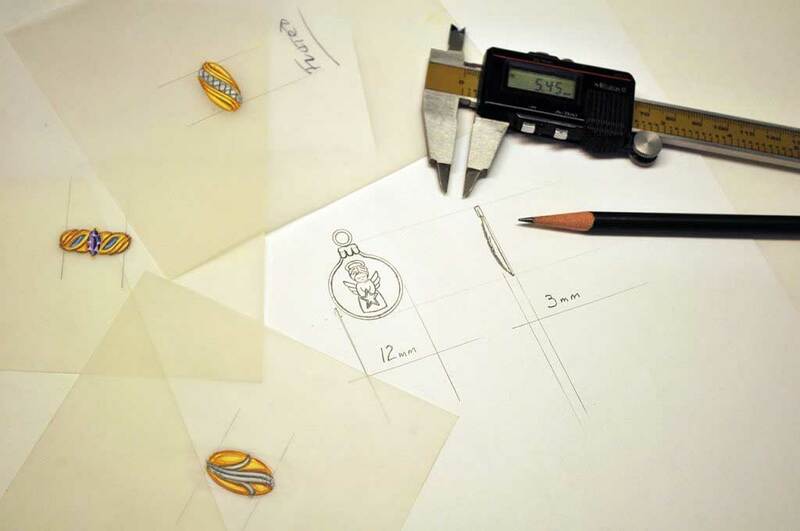 Whether done by hand or on a CAD program, the principles of jewelry design are the same, and require expertise. Taba’s CAD service gives you a complete and printable, castable 3D file. We can execute your design or offer consultation to help you maximize your design for production success. CAD projects are billed per hour. We require down payments before work begins. We include 2 simple modifications per order and additional charges will be $70 per modification. Please download and fill out this CAD worksheet and email it to the CAD department ( cad@tabacast.com) to get an estimate for your project.